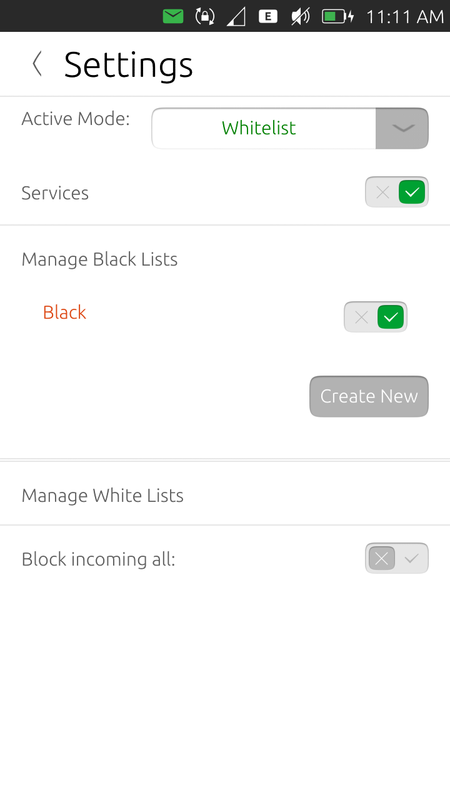 Your best application for call filtering for Ubuntu Touch phone. 1. Authorisation on only last 7 digits of IMEI instead of full IMEI. 2. 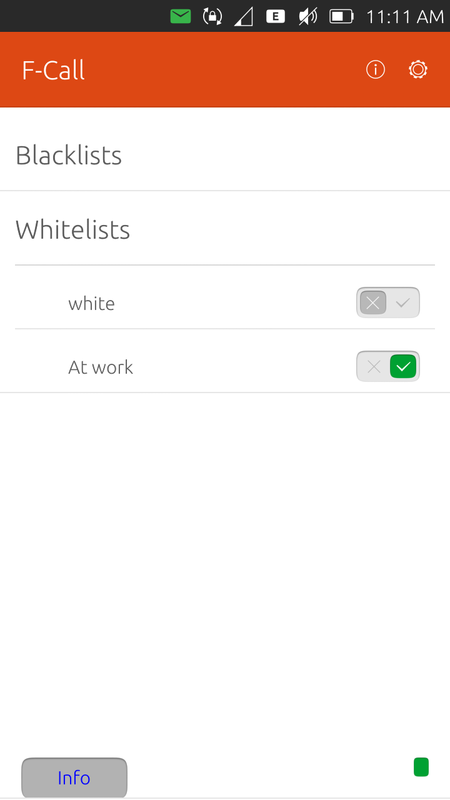 Introduction of wild card expressions for white & black lists which can be used to block/allow calls beginning with, ending with or define a custom pattern. 3. Updated to latest OTA of Ubuntu 16.04. Receive calls only from people you want to. 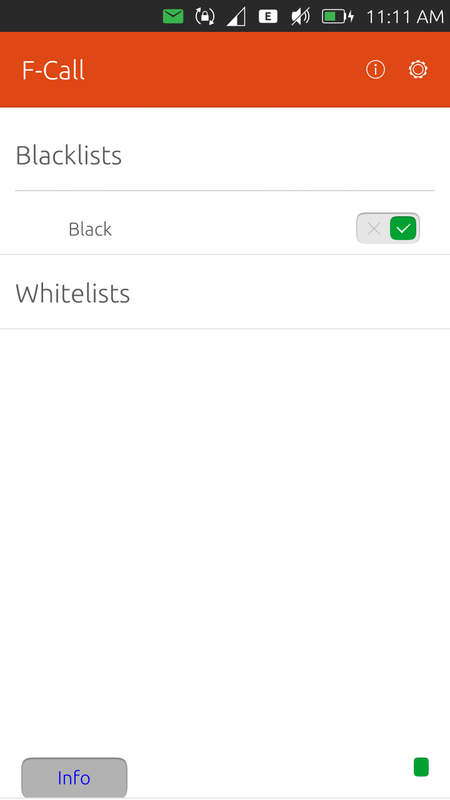 Create multi white/black lists each list can be independently controlled and customised. 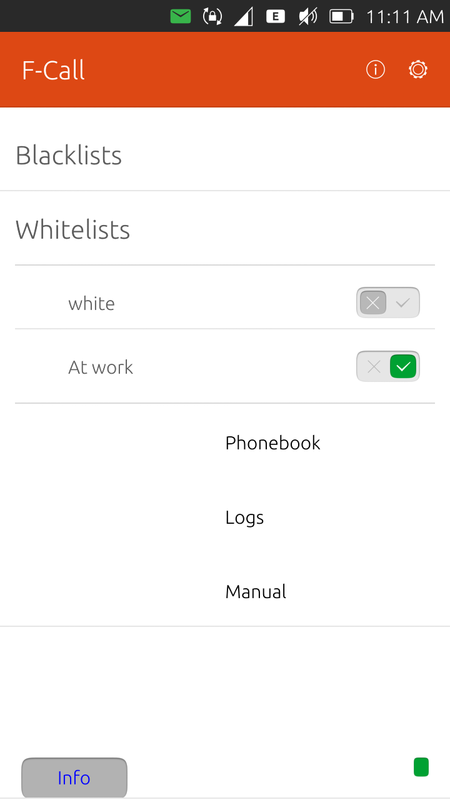 Contacts can be added to black/white lists from system phonebook,call logs or manually. Dedicated switch to block all incoming calls. Don't be bothered by incoming calls. No need anymore to switch your phone off. To purchase licence send the email to fcall.dev@gmail.com along with last 7 digits of any of the two IMEIs of the phone (IMEI of phone is shown in Settings > About this phone). Run the application and go to Settings menu to enable services, PASSCODE of phone will be required to establish services. (Passcode for phone may be changed any time later). Q1: Will it also block SMS? Q2: Why is last 7 digits of IMEI asked? A2: Last 7 digits of your IMEI is your authorization key. Q3: I have more queries, how to contact you? 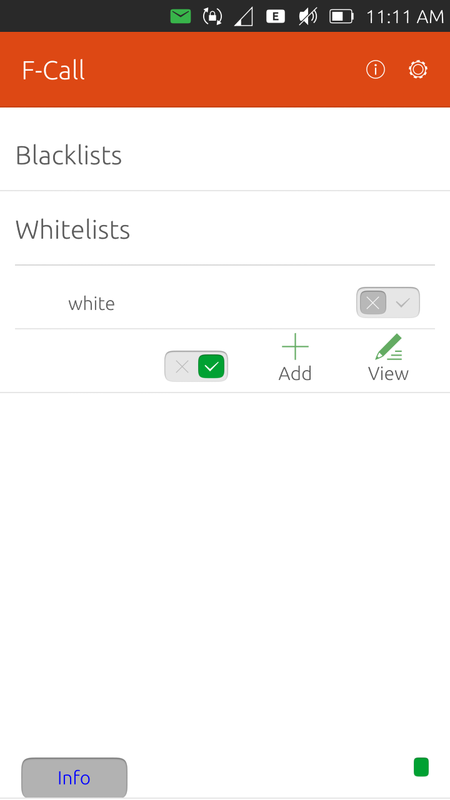 Add multiple contacts manually in one go. Select and import contacts from system phonebook directly. select and import contacts from logs of recent calls directly. Option to block numbers beginning with numbers and(or) ending with certain numbers or combination of both. 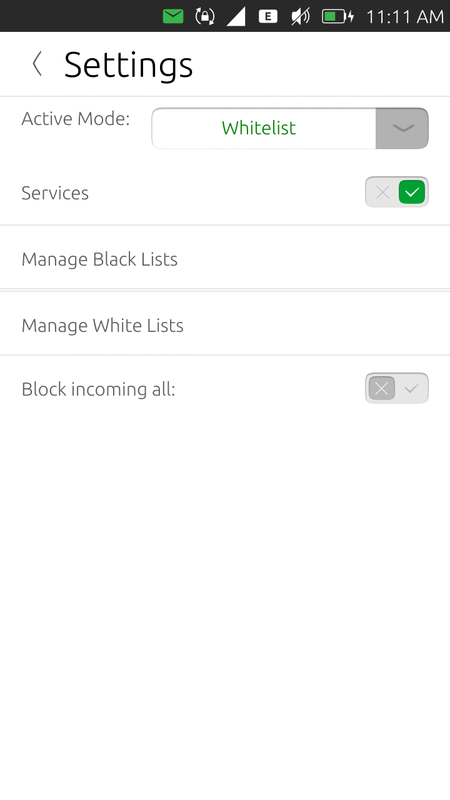 Option to block callers not in system phonebook. Revision 3 offers OTA 9+ compatibility , better user interface , smoother experience and minor bugs solved. Support our development activity with donations to complete this project which includes adding more features and functions. Feedbacks/queries may be sent to fcall.dev@gmail.com.